Allergies can cause a number of symptoms such as: sneezing, runny nose and eyes, itching, rashes, swelling and breathing problems. Medical provides usually treat allergies with a variety of approaches which often include medications and consults to allergy specialist. There are, however, natural and home remedies for allergies that you might consider. The best natural remedy for allergies is, when possible, avoidance. Both medical providers and natural healers will suggest that you limit or avoid allergens, which are what causes your allergic reaction. You should avoid exposure to your allergens. For example, if you’ve had an allergic reaction to a medication let your medical provider know about your allergy. They’ll most likely prescribe an alternate medication if you’ll ever need one. If you have had an allergic reaction related to environmental exposure protect yourself from those triggers. Unfortunately, some allergens are hard to avoid. In that case, after discussing your symptoms with your medical provider, you might consider a home remedy for allergies to deal with the results of exposure to an allergen. 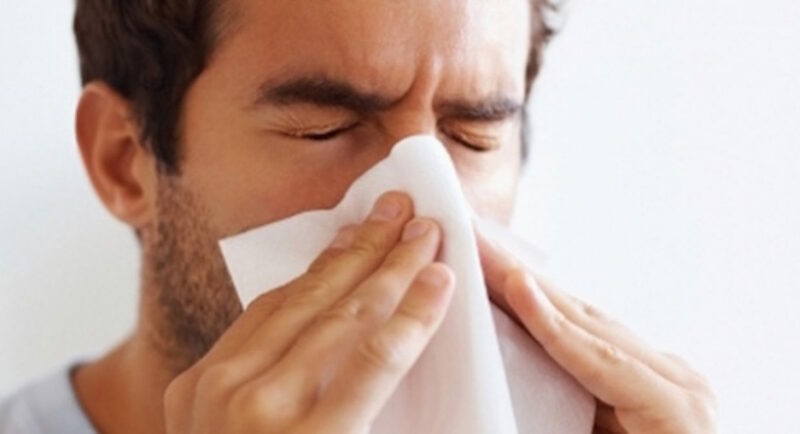 Saline nasal irrigation may help remove allergens from the nasal lining. A neti pot, saline sprays and salt pipes are examples of remedies that can be used to irrigate nasal passages. Put HEPA filters in your home heating / cooling system and portable air cleaners to remove allergens from your environment. Probiotics may help improve your immune system. Although there’s no scientific evidence to prove it, a popular theory suggests eating locally produced according to the theory, you will lower your allergic reaction over time to the pollen that the bees collect in your area to make their honey. Natural healing practitioners suggest stinging nettle as a natural antihistamine to help with allergy treatment. Quercetin is a favorite of natural healing advocates who believe that it stabilizes the release of histamines and helps to control allergy symptoms. It’s naturally found in broccoli, cauliflower, green tea, and citrus fruits. Practitioners of natural medication suggest taking vitamin C daily to reduce histamine levels. Peppermint oil treatment has shown to have enough anti-inflammatory effects that reduced the symptoms of bronchial asthma and allergic rhinitis to warrant clinical trials. Essential oils can be diffused into the air but should be diluted in a carrier oil if applied topically. Advocates of natural healing suggest using eucalyptus oil as an antimicrobial agent by adding it to each load of wash during allergy season. Frankincense oil may help against seasonal allergic rhinitis. You can dilute it in a carrier oil and use behind your ears or use by diffusing it into the air. Don’t use home remedies to treat severe allergic reactions / anaphylaxis which can be identified by symptoms such as: trouble breathing, tightness in lungs, chest pain, blood pressure changes, dizziness, fainting, rash or vomiting. If you experience these symptoms, seek immediate professional medical attention. Anaphylaxis can be life-threatening. Also, using essential oils isn’t without risk. The U.S. Food and Drug Administration doesn’t oversee the purity, quality, and packaging of essential oils. It’s important to use essential oils as directed and make sure you’re using quality products. Test the essential oil mixed in carrier oil on unbroken skin, such as your forearm. If you don’t have a reaction in 24 hours, it should be safe to use. Test each new essential oil, especially if you’re prone to allergies. While there’s some evidence that home remedies for allergies can be effective, it’s a good idea to discuss them with your medical provider before trying them out. Get a full diagnosis and listen to your medical providers suggestions related to your personal situation.